This holiday season, as families in the United States gather, we are reminded of all the missed holidays, bittersweet birthdays, and family occasions where a mother, brother, friend, or neighbor was missing because a government chose to muzzle their voices and lock them up. So throughout this holiday season, the United States government will be profiling the cases of prisoners unjustly held around the world and the families they leave behind. 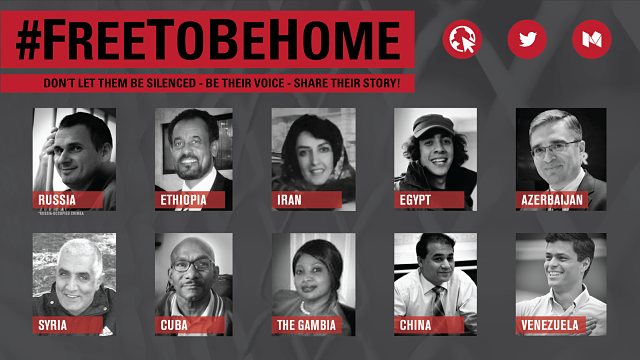 The stories of these individuals will highlight the broader struggle faced by so many families of political prisoners, who have to commemorate countless family occasions with loved ones behind bars. Authorities detained Oromo Federalist Congress Deputy Chairman Bekele Gerba on December 23, 2015 and later charged him along with more than 20 others under Ethiopia’s Anti-Terrorism Proclamation. There were reports that authorities mistreated Bekele and others, including denying them adequate medical care and access to visitors including legal counsel. 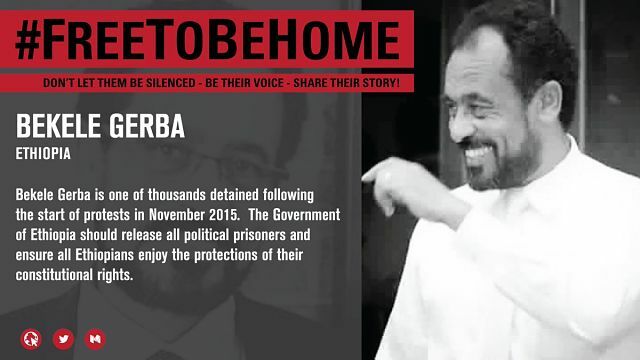 Bekele Gerba is one of thousands detained following the start of protests in November 2015. We call on the Government of Ethiopia to release all political prisoners and ensure all Ethiopians enjoy the protections of their constitutional rights.